In Dai Thien Loc, the production line is operated according to Europe and Japan technology. Products is certified in conformation to Japan Industrial Standard (JIS) and American Society for Testing and Materials (ASTM) in order to bring best quality products to customers. Dai Thien Loc Company applies customer care policy effectively by contacting with customers regularly to find out the customer needs, market progression. From that, we build suitable and flexible strategy to satisfy customer in the best way. 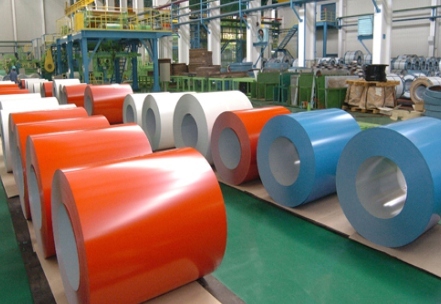 Dai Thien Loc Corporation specialized in Manufacturing Cold rolling steel (CR), Galvazized steel (GI), Galvalume (GL), Pre-painted Galvanized (PPGI), Pre-painted Galvalume (PPGL), steel pipes, steel channels, etc. and Trading in HR, steel plate, steel beams/angles, deformed bar, wire rod, etc. 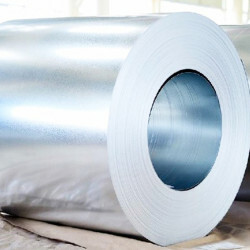 Dai Thien Loc galvanized steel sheet is produced according to Japan Industrial Standard JIS G 3302:2010, zinc coated, chromate/antifinger coated. Copyright © 2016 - 2019, Dai Thien Loc. All rights reserved.